Benefit: Assists in the assimilation of calcium and other minerals to promote bone strength and maintain bone density. * Contains a proprietary blend of Blackberry Vine (Rubus fructicosus) young shoots; Giant Redwood (Sequoia gigantea) young shoots; Red Spruce (Abies pectinata) buds; Calcaire de V.. Benefit: Helps to regulate sluggish bowel function; for the relief of occasional constipation. * Contains a proprietary blend of Prim Wort (Ligustrum vulgare) young shoots; Rosemary (Rosmarinus officinalis) young shoots; Wine Berry (Vaccinium vitis idaea) young shoots; Pink Sandstone; .. Benefit: Relief of temporary nasal and sinus congestion, watery eyes, sneezing. * This formula is especially helpful to combat allergic reaction to inhaled allergens including pollens, animal dander and toxic substances from unhealthy air quality including smoke, particulate .. Benefit: Promotes healthy joint function. For the relief of temporary pain associated with everyday activities. * Contains a proprietary blend of European Grape Vine (Vitis vinifera) buds; Mountain Pine (Pinus montana) buds; Wild Woodvine (Ampelopsis weitchii) young shoots; Quadratic Feldspar; Car.. Benefit: Aids in the promotion of healthy lung function. 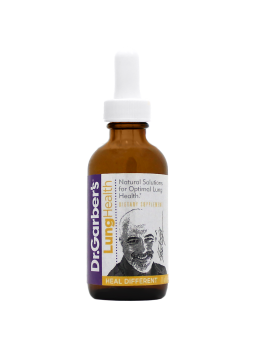 These formulas are especially helpful to repair lung tissue damage due to inhaled toxic substances from unhealthy air quality including smoke, particulate matter, fumes, molds and other chemicals in the air with zero side effects. * .. Benefit: Aids in the promotion of healthy skin. Helps skin look and feel better. * Contains a proprietary blend of Cedar of Lebanon (Cedrus libani) young shoots ; Rye Grain (Secale cereale) rootlets; English Elm (Ulmus campestris) buds; Conglomerate; Skin. Other ingredients: Glycerin, Purified .. 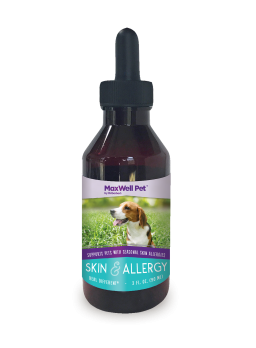 Skin & Allergy By MaxWell Pet MaxWell Pet Skin & Allergy soothes skin-related issues associated with seasonal allergies. Our natural formula helps your pet maintain a normal inflammatory response. Contains a proprietary blend of Black Currant.. 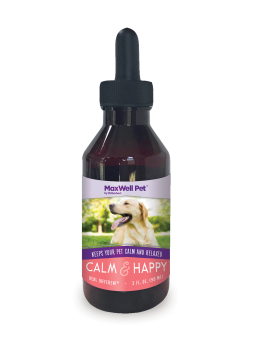 Calm & Happy By MaxWell Pet MaxWell Pet Calm & Happy helps calm dogs exhibiting nervousness, hyperactivity, discontentment or those responding to environmental stress. 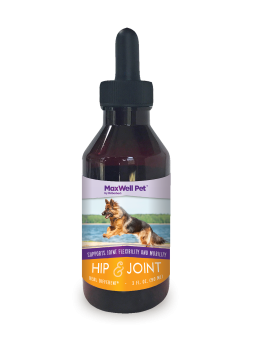 Contains a proprietary blend of Ash Tree (Fraxinus excelsior) buds; Fig Tree (Ficus carica) buds; Lime Tree (Tilia to..
Hip & Joint By MaxWell Pet MaxWell Pet Hip & Joint promotes healthy joints in dogs of all ages. Our natural blend enhances the body’s normal repair of joints and connective tissue. Contains a proprietary blend of Black Currant (Ribes nigrum) bud..